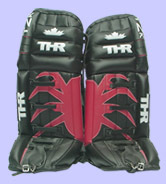 Toronto Hockey repair manufactures goal pads under the "THR" and "Terminater" labels. 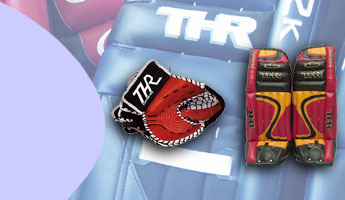 All of our goal pads are lightweight and made from the highest quality clarino leather and heavy duty tufflon nylon. All of our pads come with calf protectors and knee cradles as standard features. You have your choice of toe buckles or toe bridge(lace) system. 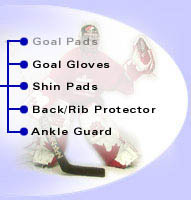 We manufacture two styles of goal pads as noted below.